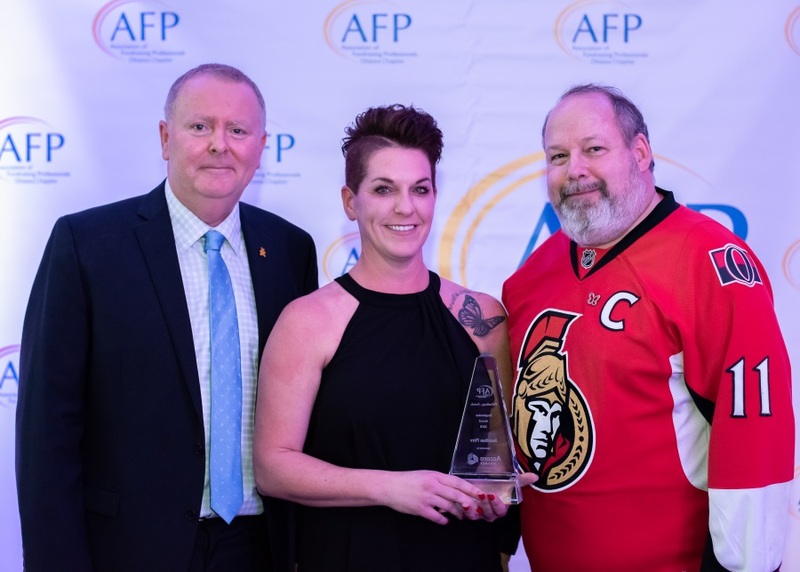 Special Inspiration Award honouring Jonathan Pitre, accepted by his mom Tina Boileau with nominator Kevin Keohane (CHEO Foundation) and sponsor Dan Greenberg (Accora Village). 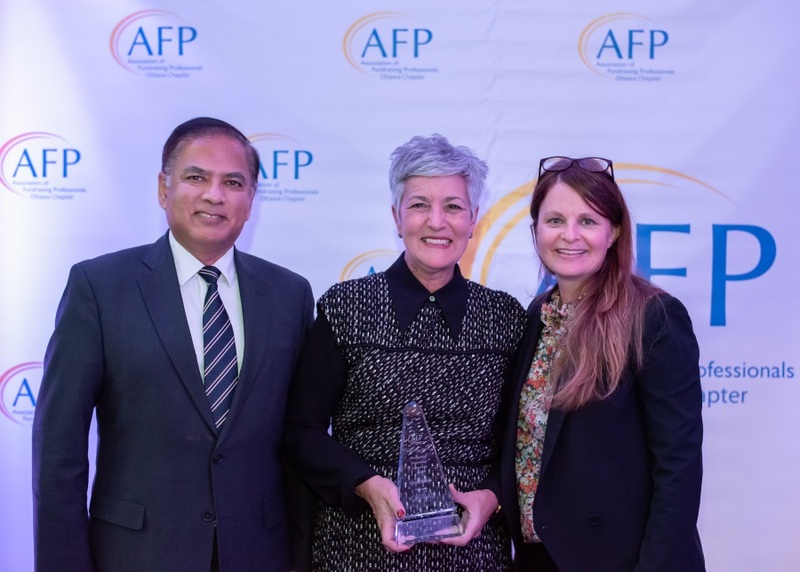 Outstanding Fundraising Professional Jayne Watson with nominator Jane Moore (NAC Foundation) and sponsor Ibrahim Inayatali (Global Philanthropic). 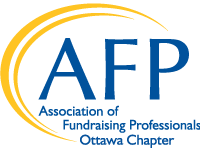 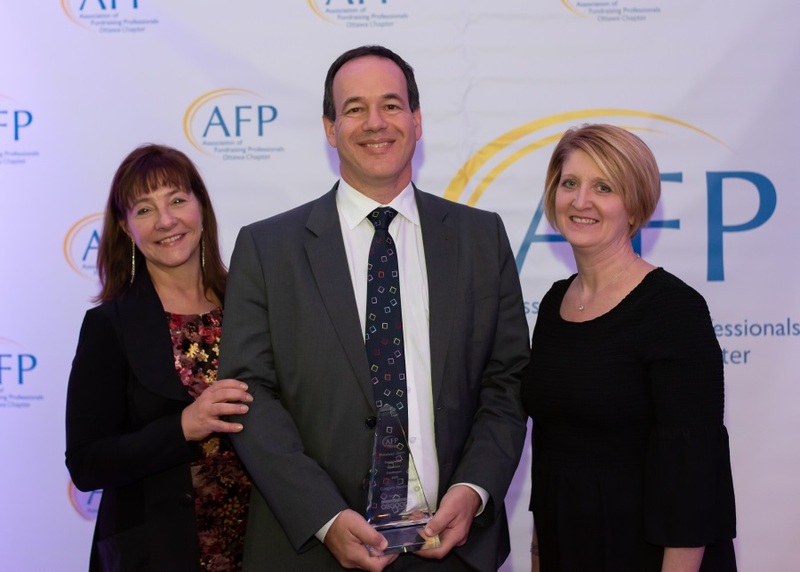 Outstanding Volunteer Fundraiser Gregory Sanders with nominator Linda Eagen (Ottawa Regional Cancer Foundation) and Kelly Lachance (AFP Ottawa). 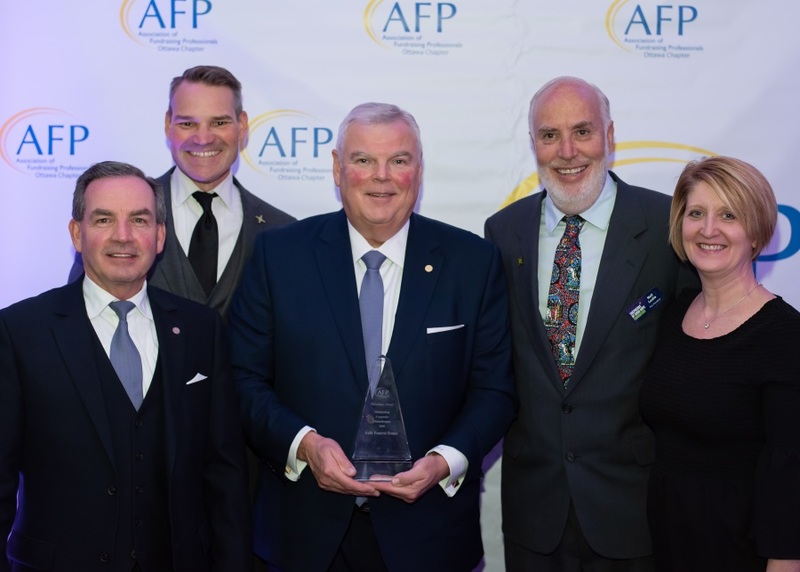 Kelly Funeral Homes representative John Laframboise accepts the Outstanding Corporate Philanthropist award with nominator Neil Leslie (Shepherds of Good Hope Foundation), Ryan Kilger (Shepherds of Good Hope Foundation) and Kelly Lachance (AFP Ottawa). 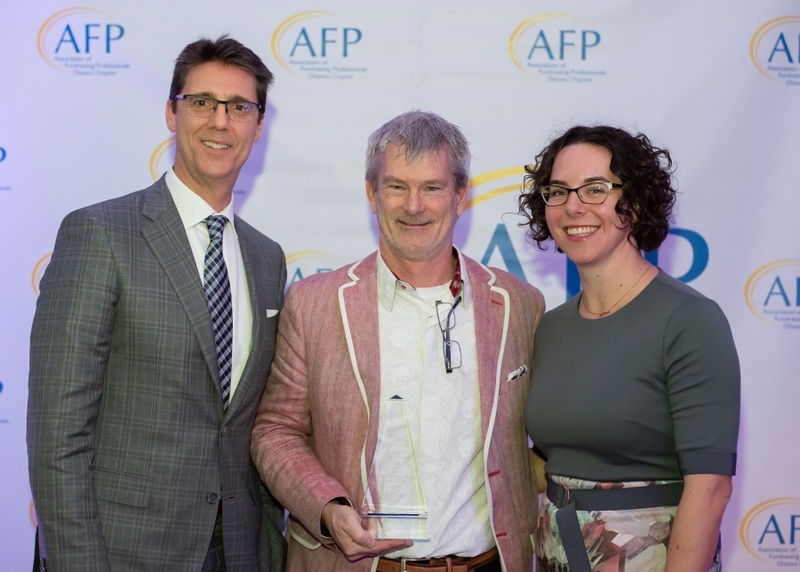 Dragon Boat Foundation CEO John Brooman accepts the Outstanding Philanthropic Group award with nominator Scott Lawrence (Youth Services Bureau Foundation) and Holly Wagg (Good Works). 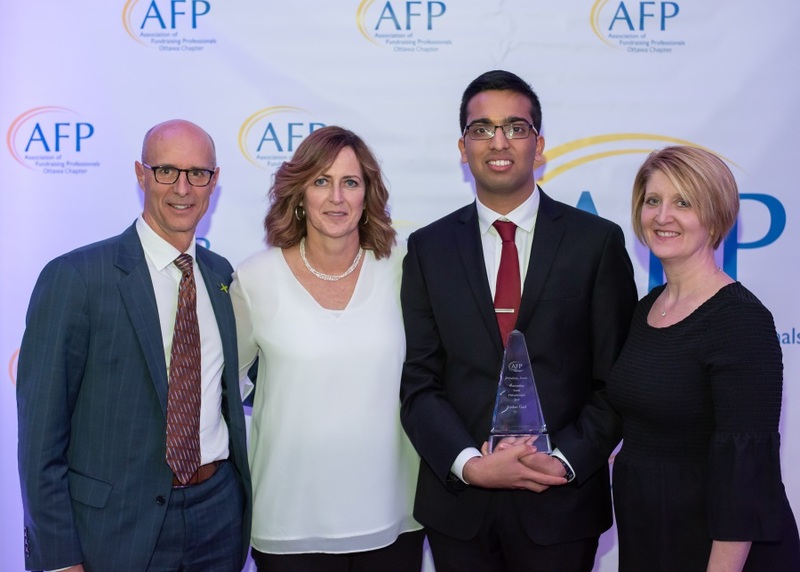 Outstanding Youth Philanthropist Keshav Goel with nominator Deirdre Freiheit (Shepherds of Good Hope Foundation) and Kelly Lachance (AFP Ottawa). 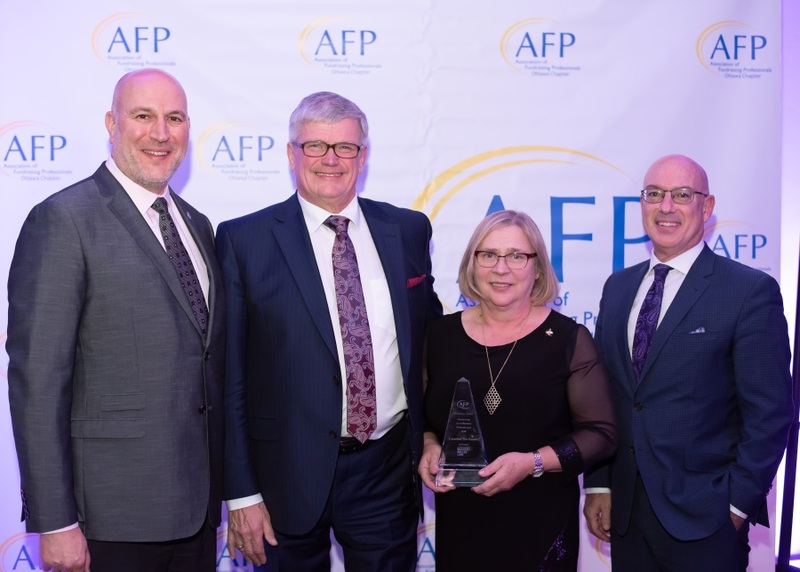 David and Pamela Malcomson, Owners of Canadian Tire Kanata, accept the Outstanding Small Business Philanthropist award with nominator Mitchell Bellman (Royal Ottawa Foundation for Mental Health) and sponsor Harold Feder (Brazeau Seller Law). 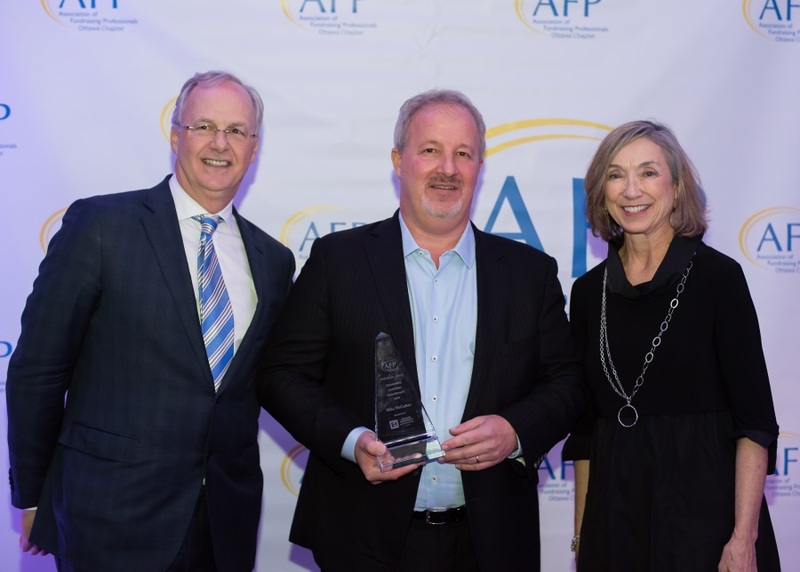 Outstanding Individual Philanthropist Mike McGahan with nominator Colleen Mooney (Boys and Girls Club) and sponsor André Champagne (Emond Harnden LLP).